The Steamboat Grand Resort is the premier location for mountain fun in Steamboat Springs. 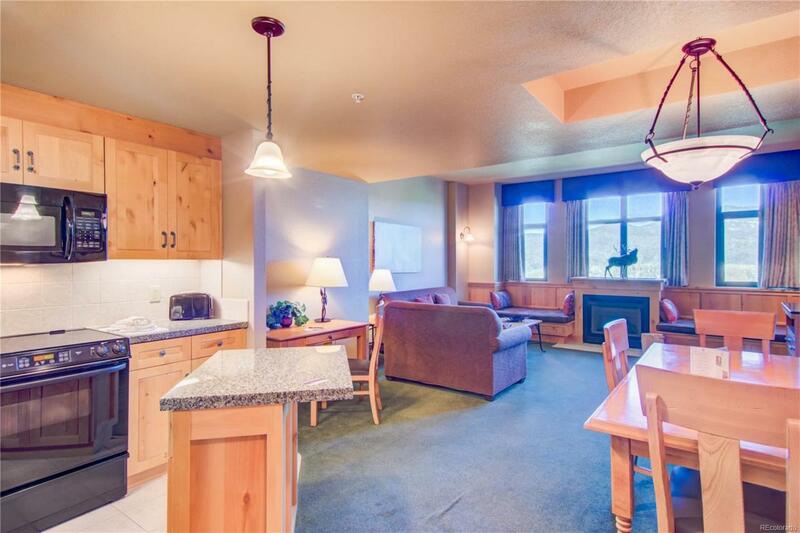 Owners enjoy exclusive amenities including covered parking, year round shuttle, complimentary valet, slopeside locker, ski valet, pool, hot tub, concierge, apres ski, ski pass discounts, dining discounts, lodging discounts and more! It's truly one of the best amenities packages in town and the HOA includes all of the utilities bills as well. This whole ownership, 1 bed 1 bath condo provides sleeping for 6 and is appointed with high end furniture, appliances, hardwood cabinets and granite countertops. Walk right across the street to grab your skis and hop on the slopes. Enjoy one of 3 dining establishments in the Grand from the Poolside Bistro to the Grand Cafe to fine dining at The Cabin. Take advantage of the rental program through Grand owner services if you'd like to earn some rental income. Truly one of the most accessible, all inclusive properties in Steamboat and at an affordable price!